Today is a great day. 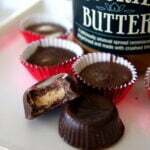 It’s Chocolate Peanut Butter Day! So what exactly does that mean? 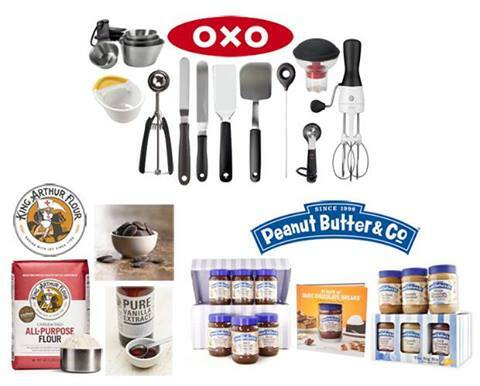 Well, it means you are about to be blown away by chocolate and peanut butter recipes (never a bad thing). I’ve joined forces with 31 fellow bloggers to showcase these tasty ingredients all on the same day. My girls Carla from Chocolate Moosey and Miriam from Overtime Cook are orchestrating the whole event, and we want you to join in on social media using #chocPBday, grab more delicious recipe on the Chocolate PB Pinterest board, and best of all… enter to win 1 of 3 prize packs from OXO, King Arthur Flour, and Peanut Butter & Co. in the giveaway below (find it below the recipe)! 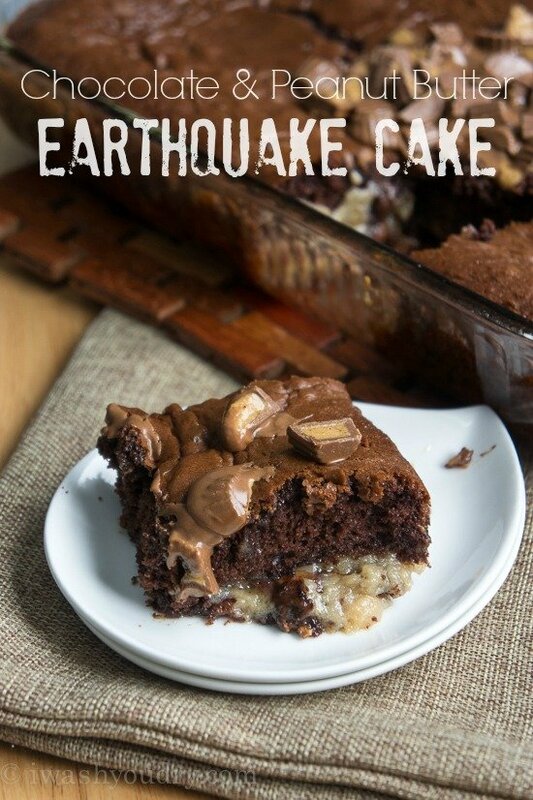 But first… Chocolate Peanut Butter Earthquake Cake. Here’s the deal with this cake – it ain’t purtty. It’s meant to look like a peanut butter earthquake has come in and wreaked havoc on an innocent chocolate cake. All the while, tasting super rich, moist and delicious. I found it tasted best when it was served warm, a-la-mode style. 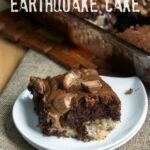 The cake is actually super easy to make, and a riff on the classic earthquake cake. 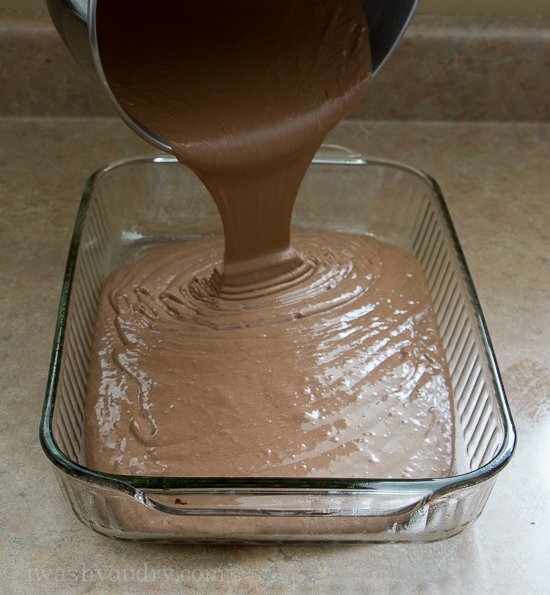 Just grab a chocolate boxed cake mix, prepare it according to the box’s instructions and pour into your cake pan. Then combine some butter, cream cheese, peanut butter and powdered sugar and blend until light and fluffy. 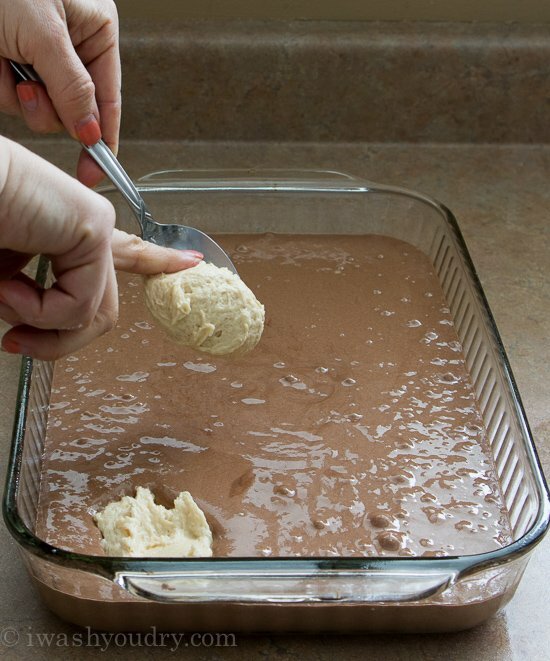 Scoop by tablespoons right on top of the cake batter. 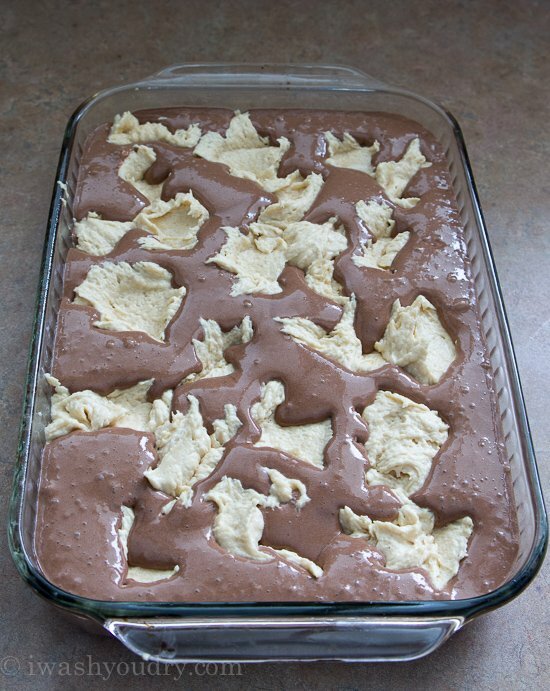 Cover the whole cake in creamy peanut butter blobs. Blobs… it’s such a fun word to say. 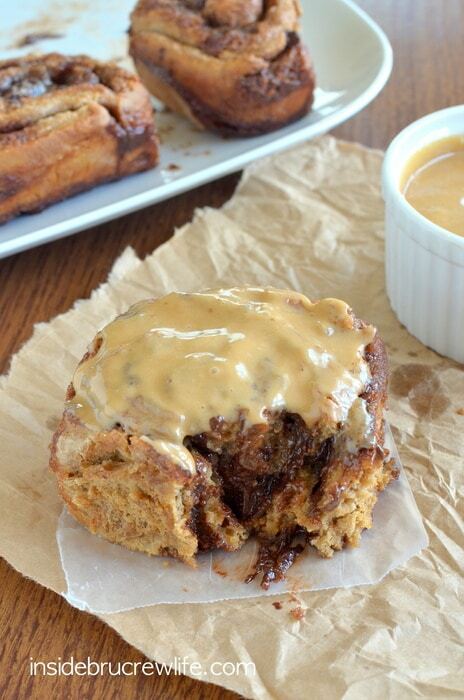 Let’s get crazy and throw in some extra chocolate and peanut butter… shall we?? A few (few?) chocolate chips and peanut butter cups for the road please. The blobs will slowly sink to the bottom as the cake rises up while baking. It takes a little longer to bake than your average cake mix, so have patience. You’re looking for a slightly jiggly center, nothing that wobbles too much. Basically looking like an earthquake destroyed your cake. Throw a little more chocolate peanut butter cups on top. Mmkay? 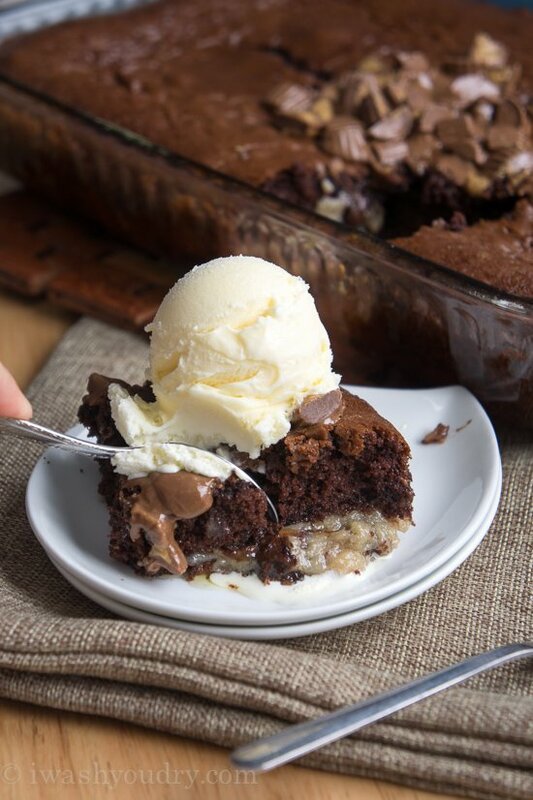 The peanut butter blobs form a creamy sweet layer that’s ribboned throughout the moist chocolate cake. 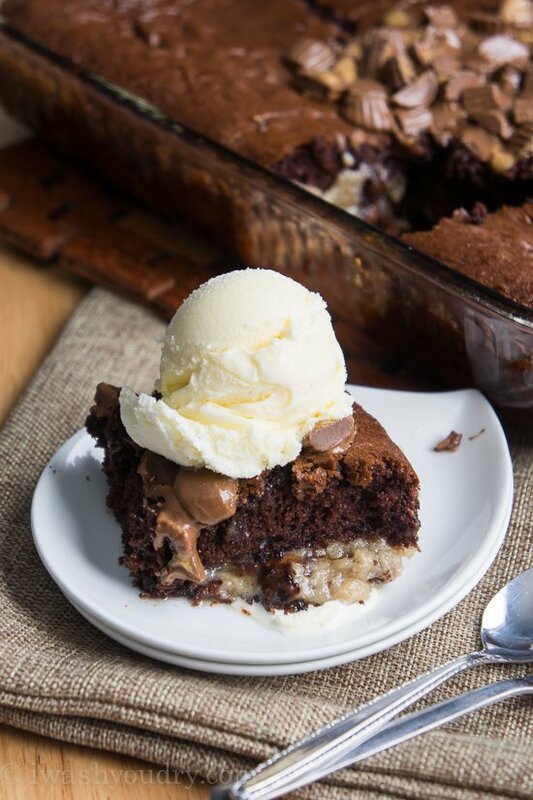 Chocolate Peanut Butter Earthquake Cake tastes best when it’s served warm, a-la-mode style! Prepare chocolate cake mix according to package instructions and pour into a lightly greased 9×13 cake pan, DO NOT BAKE – set aside. Melt butter on stove top until bubbly. Pour into mixing bowl and beat the butter and cream cheese until smooth. Add the peanut butter and vanilla extract, beat till smooth. Add one cup of powdered sugar at a time to bowl, and beat until fully incorporated and mixture becomes light and fluffy. Scoop spoonfuls of the peanut butter mixture onto the chocolate cake batter, all over. 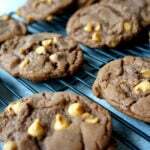 Sprinkle with the chocolate chips and peanut butter cups. Bake for 45-55 minutes or until the center is only slightly jiggly. Let cool for 15 to 20 minutes before slicing and serving warm. Top with ice cream if desired! Enjoy! Ready to win some cool prizes? This giveaway is open to US residents only and will be picked from random draw. Giveaway ends Monday March 31 at 11:59 PM. The winners will be notified via email and have 24 hours to respond. If not, the prize is forfeited and another winner will be chosen. 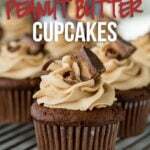 Want more Chocolate and Peanut Butter?! Check out these 30 delicious recipes & bloggers! Chocolate Peanut Butter Pretzel Doughnuts by It’s Yummi! So my peanut butter cream cheese mixture did not sink to the bottom…. instead it kind of puffed up and exploded over the edges… any ideas why? I’ve cooked it for 60 minutes at 350 and it’s still liquid in the middle. What to do? I would double check to make sure your oven is calibrated correctly. It should definitely not be liquid after 60 minutes. I made this for church last week. The peanut butter/cream cheese mixture separated from the cake (around the edges) and caramelized. How do I fix this? Was the cream cheese too runny when you added it to the cake? 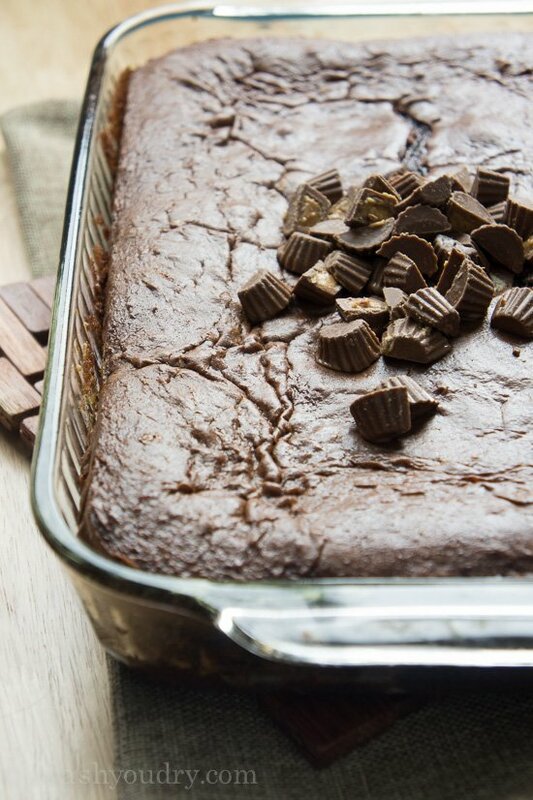 If so, adding a little more powdered sugar and chilling before baking would help with this. Can this be made ahead of time? I would love to bring it over to a friend’s house for New Years Eve. 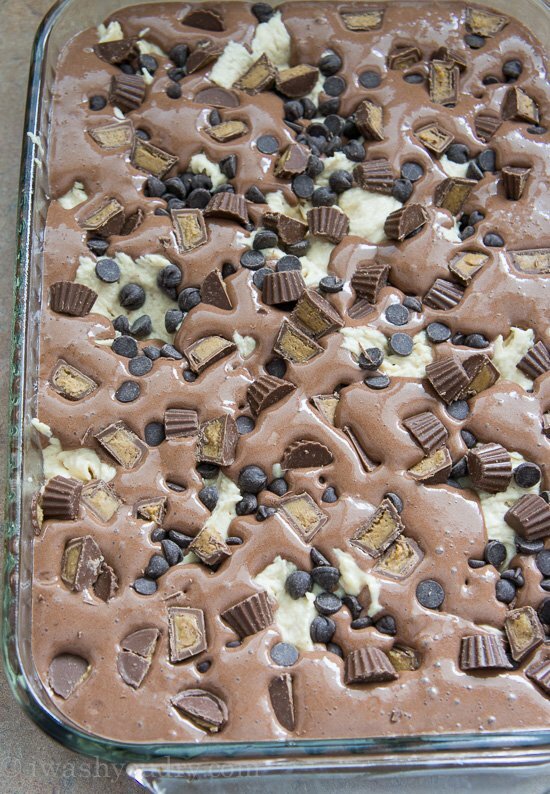 Would I be better combining all ingredients and putting it in the oven when I get there or baking the cake ahead of time and reheating it? I think this cake is best warm, so I would prep the cake, cover and chill in fridge until you reach your friend’s house. Then you can bake when ready! Hope you enjoy! This should be called Volcano Cake. 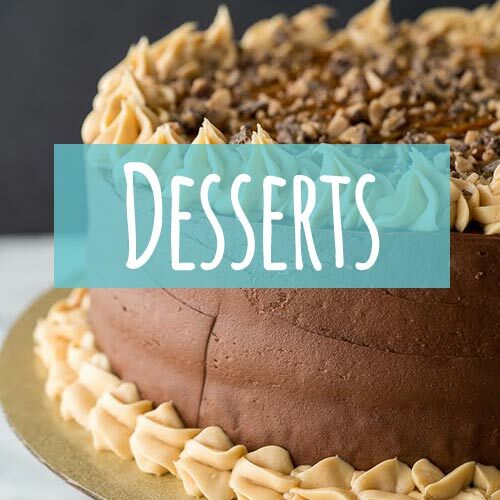 The peanut butter cream cheese filling erupted out of the cake and dripped down over the oven. I baked it in a non-stick cake pan, but followed the 350 degree instructions on the recipe. I wonder if reducing the temp 25 degrees like it says on the cake mix box would have prevented this? I had the same problem. It dripped in the oven, the house filled with smoke, and it was a mess. Oh no! I’m so sorry it didn’t work out for you! 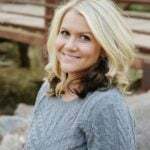 I just found your site & we our friends are enjoying it. You have written the steps in very simple words. Thank you for your great effort. 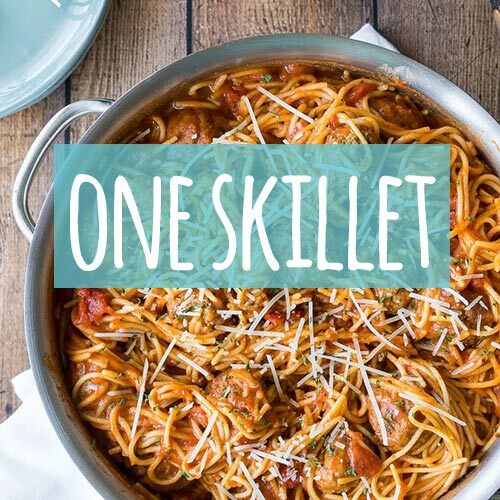 I had this recipe bookmarked and decided it’d be a perfect thing to make for the month. Clean up in aisle 5! I can’t stop drooling! How should the leftovers be stored? Like a previous poster, my add in also sunk all the way to the bottom and carmelized. Has anyone else been able to correct that problem? Should I refrigerate since I won’t be serving until the following day? Yes. As a rule of thumb, if a recipe has dairy like cream cheese in it, you should always refrigerate once cooled. Hi Shawn, I know this is old but I just found it. Do you mean “divide” as far as peanut butter cups or cut in half? Thanks admin.god bless you always . Just made this cake. It looks delicious. However, it ran over the pan a lot. I used a pan that is a large 9 X 13. My smoke detector is going off!! Kitchen full of smoke. Mess in the oven. I’m sure it will still be good. But I will not be serving to my guests tomorrow!! Oh no! Hmm… I’m not sure why it would have run over. Maybe your cake mix was a larger size? Just took this out of the oven. I used my Crazy Chocolate Cake recipe and completed per instruction. This cake was amazing. Shared with the gentleman that is painting my husband’s office. He loved it! Sending some home with him to share with his wife. Thank you for sharing your recipe. Oh man, Crazy Chocolate Cake recipe sounds like a great addition! 😉 Thanks Kay!